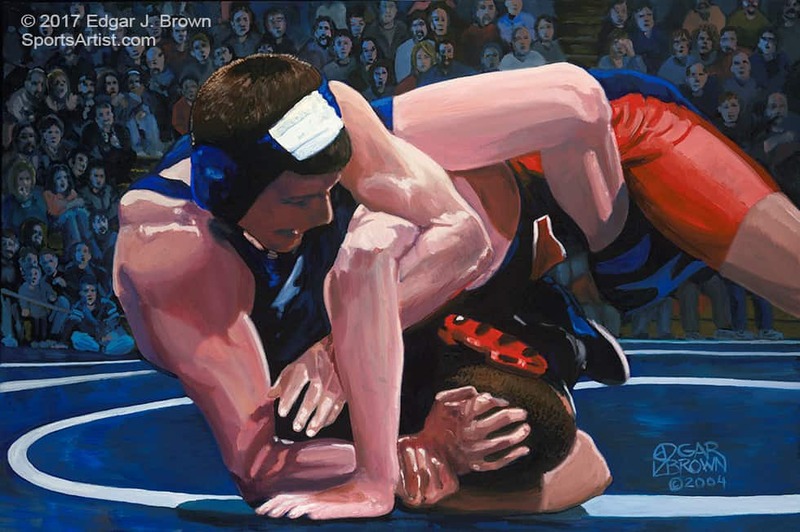 Sports Painting of Wrestler working the pin. 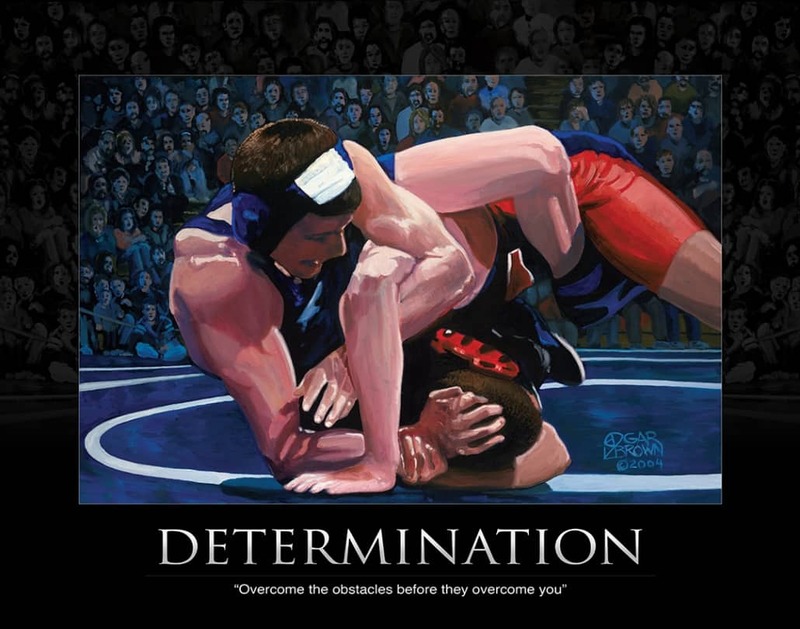 He shoots in for the the take down and quickly hooks his legs inside to control the top, turning his opponents shoulders flat to the mat forcing the pin. 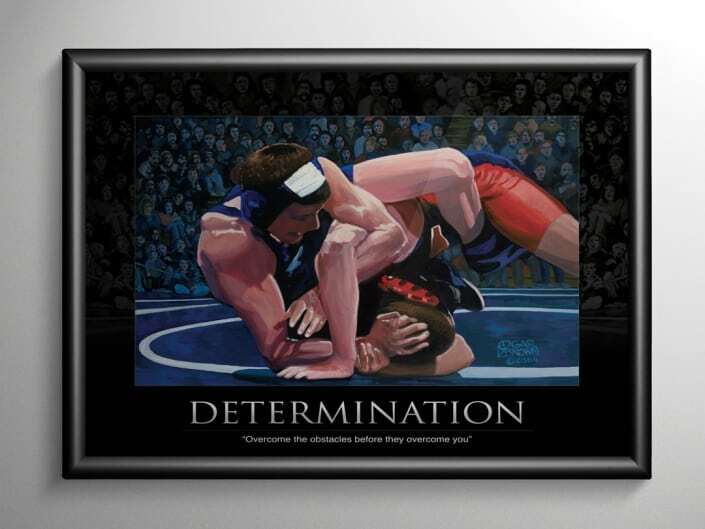 Wrestling Painting Jody Crouse Jr.